We are therefore proceeding to develop more detailed plans for planting schemes, paths, shelters and seating. 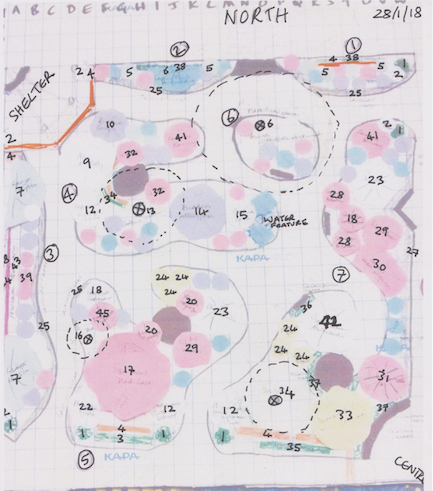 Below we describe the finalised planting plan for the north-west quadrant which we plan to make a reflective and sensory garden. The area still needs clearing, digging out and the laying of paths and seating areas. We also need to decide on a water feature and get planning permission for the corner shelter structure. This means we will probably not be in a position to start planting until October this year (2018). We’ve put a lot of thought into the precise varieties of plants on the list for this quadrant, so will try and stick with them if at all possible. If anyone would be willing to take cuttings or offshoots of plants on the list (particularly perennials) and grow them on for us, that would be very much appreciated. 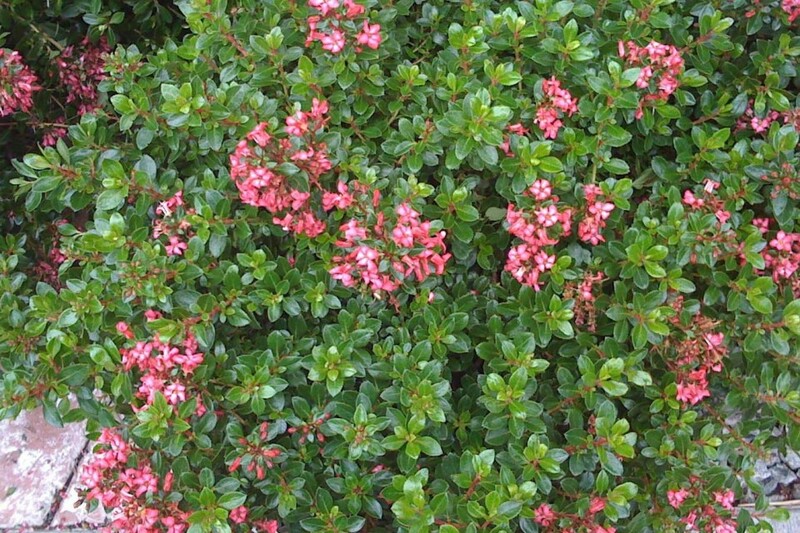 We also need well-rooted cuttings of Eleagnus ebingii (the plain green leaved, thornless variety) for the long hedge bordering the main north-south path, and also of Escallonia bifida (pale pink flowers) for a short hedge around a seating area. 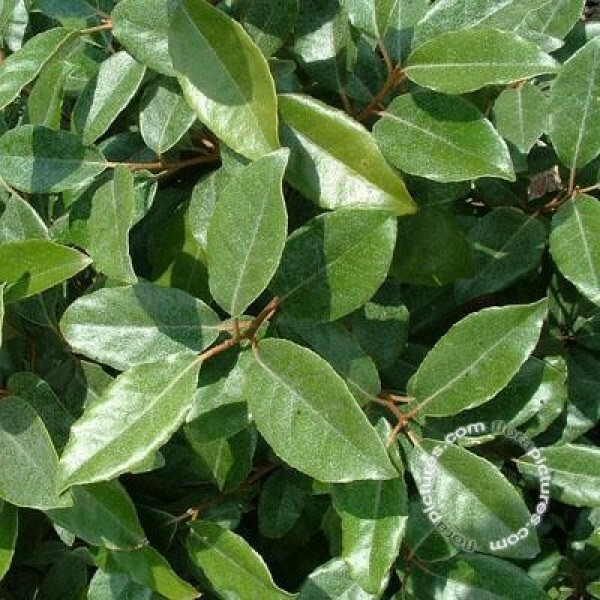 (We already have enough Lavender and Viburnum davidii plants). Financial donations towards the cost of some of the larger shrubs/trees are also very welcome. The Social and Community quadrants need planting plans too – currently we are thinking hot coloured perennials in the social quarter, and native /woodland plants in the shadier community quarter, with a pebble river. Ideally we need plants ready for the coming autumn/spring, so please let us know if you can help. We will try to use donated plants in the garden if they fit with our planting schemes, but if we receive too many or are offered other plants we will sell some to raise funds for the garden, or swap or donate them to other community garden projects. If you can help please contact email: janenehaul@gmail.com. Thank you.